The Federal High Court in Abuja has acquitted Justice Sylvester Ngwuta, a serving justice of the Supreme Court, of the corruption charges against him. 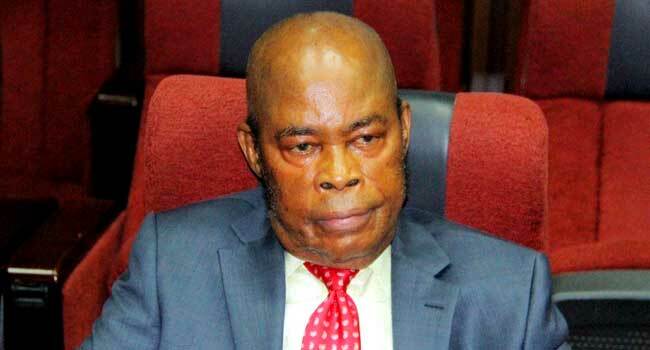 Justice John Tsoho, in a ruling on Friday, dismissed all the 13 counts of money laundering and passport fraud instituted by the Federal Government against Justice Ngwuta. The Supreme Court justice was one of the judges whose houses were raided by operatives of the Department of State Services in October 2016. Consequently, he was charged with corruption offences by the Office of the Attorney-General of the Federation. Justice Tsoho held that the pre-conditions for instituting charges against a judicial officer were not met before Justice Ngwuta was charged. The trial judged relied on a judgment of the Lagos Division of the Court of Appeal delivered on December 12, 2017, which had dismissed the corruption charges instituted against a serving judge of the Federal High Court, Justice Hyeldzira Nganjiwa. The appellate court had dismissed the charges instituted by the Economic and Financial Crimes Commission (EFCC) on the grounds that a serving judge could not be investigated or prosecuted without being first disciplined by the National Judicial Council (NJC). Earlier, Ngwuta’s counsel, Kanu Agabi, argued that by virtue of the said appeal court judgment in the case of Nganjiwa, and the provisions of section 158(1), Paragraph 21(8) of the Third Schedule to the Constitution, the charges instituted against his client were incompetent. Agabi added that the complaints forming the basis of the charges instituted against his client ought to have been referred to the NJC and allowed the judicial body to discipline him before instituting the charges.